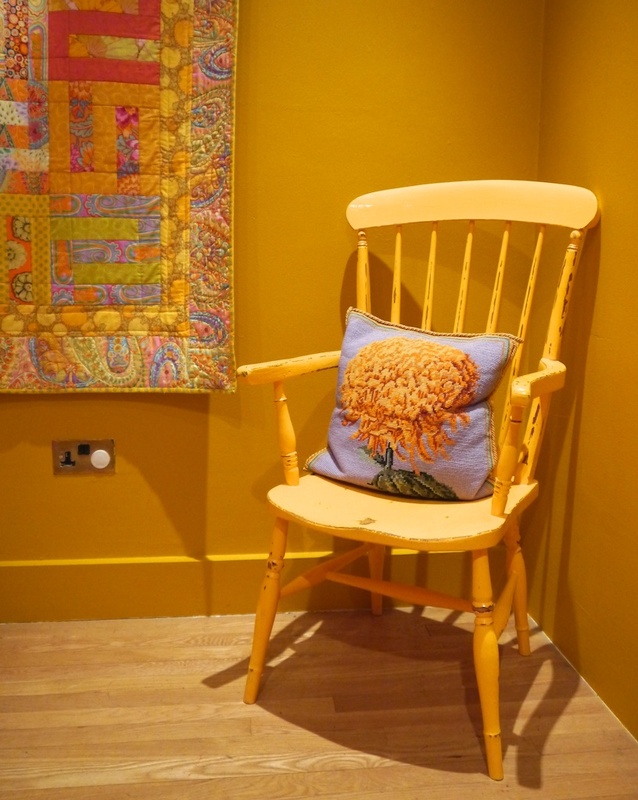 I’m a reluctant fan of Kaffe Fassett‘s work; my appreciation for his sense of colour has come to me only a couple of years ago. Partly this stems from my slight colour blindness, which can make working with colours difficult for me. 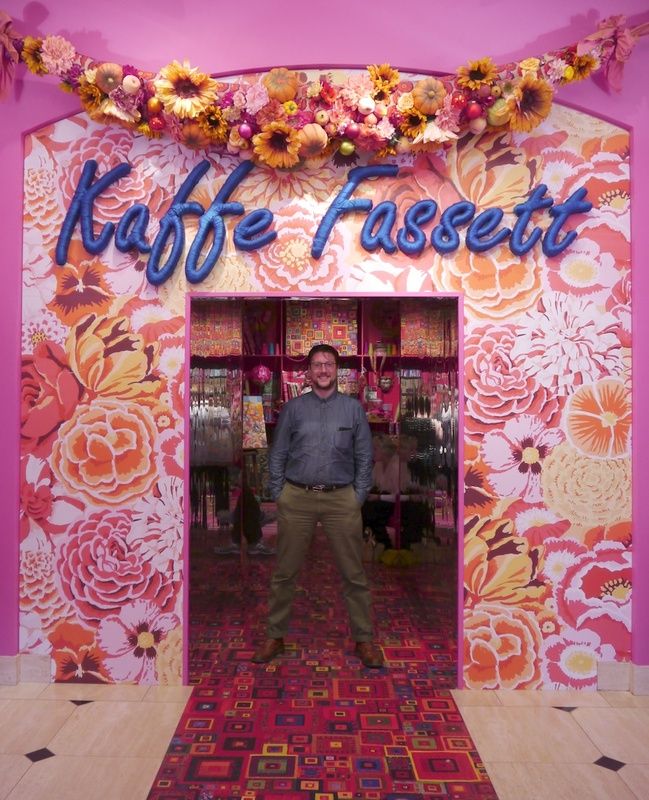 It might also have to do with the era in which Fassett first became a household name: the 1980s. It’s easy to dismiss that decade as one with ugly garment shapes and be done with it, but once you start to really look at the designs from that era, there is a bounty of inspiration to be found. 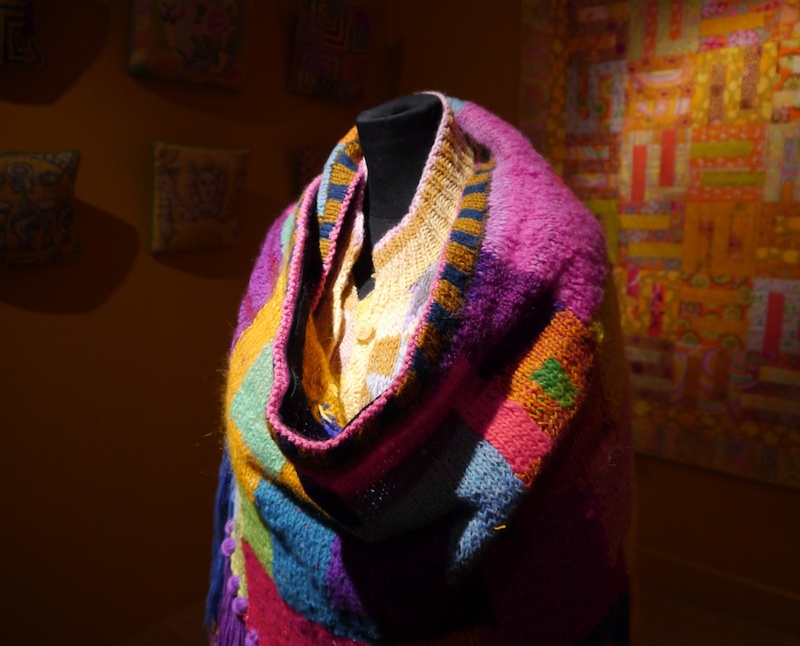 Knitwear designers like Susan Duckworth and Patricia Roberts to name just a few, and indeed Kaffe Fassett, were masters at combining textures, shapes, and colour and I find there is lots to learn from studying these elements of their design. Now that I have some of his knitting books, I have started to get an understanding of how colours can work together. Even if the end result is not always to my taste, I can learn a lot from it. But looking at pictures is very different from looking at the actual garments. 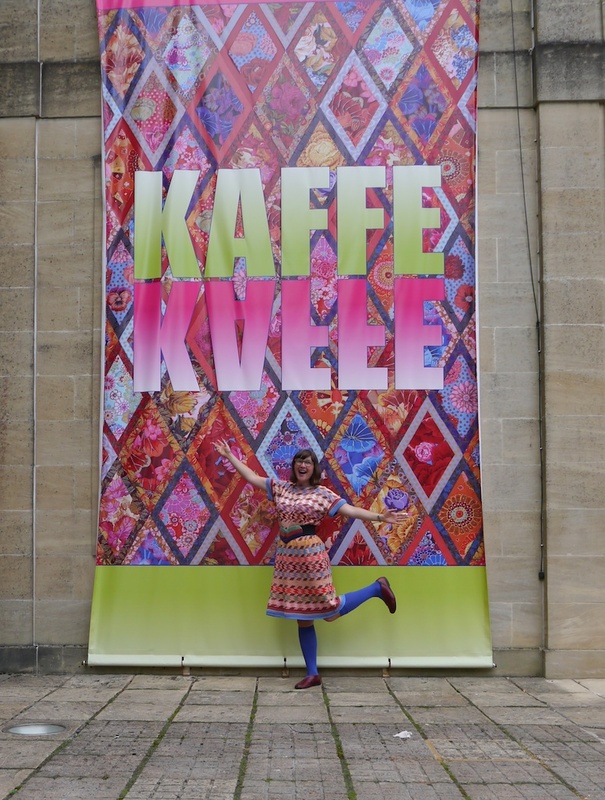 So when my friend and knitbuddy Anna Maltz (some of you may know her as Sweaterspotter) asked if I wanted to visit the Kaffe Fassett retrospective at the American Museum in Bath with her, I just had to say yes. Fassett has a connection to the American Museum that goes back to the 1960s, when he made beautiful pen drawings of the period rooms. These drawings are also on display throughout the museum. The knitwear, needlepoint, and patchwork quilts were displayed in a theatrical setting, saturated in colour and dramatically lit. I think that for me, the exhibition was not entirely successful. 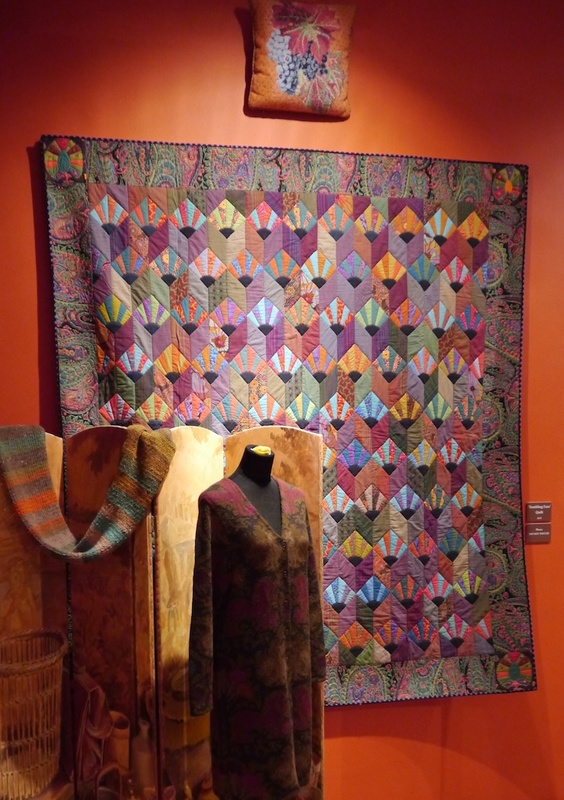 It was great to see all those pieces for real and I really enjoyed looking at them, but both Anna and I felt we haven’t learnt more about Kaffe Fassett the designer than we already knew. If you are interested in the background story, then I can highly recommend a five-part documentary you can find on the 4OD website here (my apologies, I’m not sure if you can view this outside the UK.) It was made when Glorious Knitting was released, and he talks about his passion for knitting, the connection between knitting and painting, sources of inspiration, and on being a professional designer. In order to bring some structure in the displays, the exhibition was grouped in ‘pools of colour’ and this worked well. Although Fassett sometimes uses up to sixty different colours in a design (and in the patchwork quilts this is arguably even more if you look at all the printed fabrics) there is usually one colour group that dominates and I think that’s the key to working with colour. Any other colours that are thrown in the mix are there to add a little frisson to the colour scheme, and thereby lifting up and bringing it all together into a coherent design. 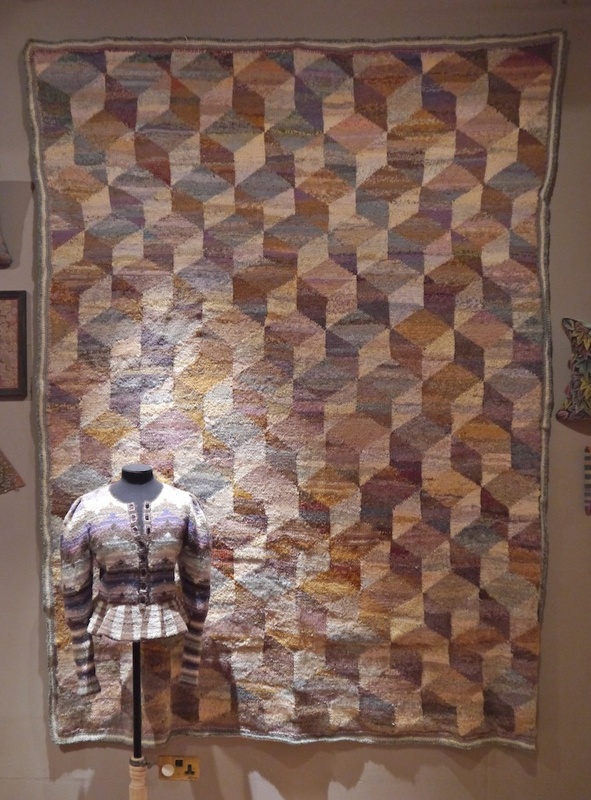 Apart from the Kaffe Fassett exhibition, which is on until 2 November, the American Museum also houses a great permanent collection of quilts, patchwork, rugs and blankets and is situated on beautiful grounds. Lest you think it’s only about textiles – I am biased, after all – the collection at the Museum is in fact extremely varied, ranging from quilts to Renaissance maps, and Shaker furniture to ancient Native American tools. It takes you on a journey through the history of America, from its early settlers to the twentieth century, which made it well worth a visit! 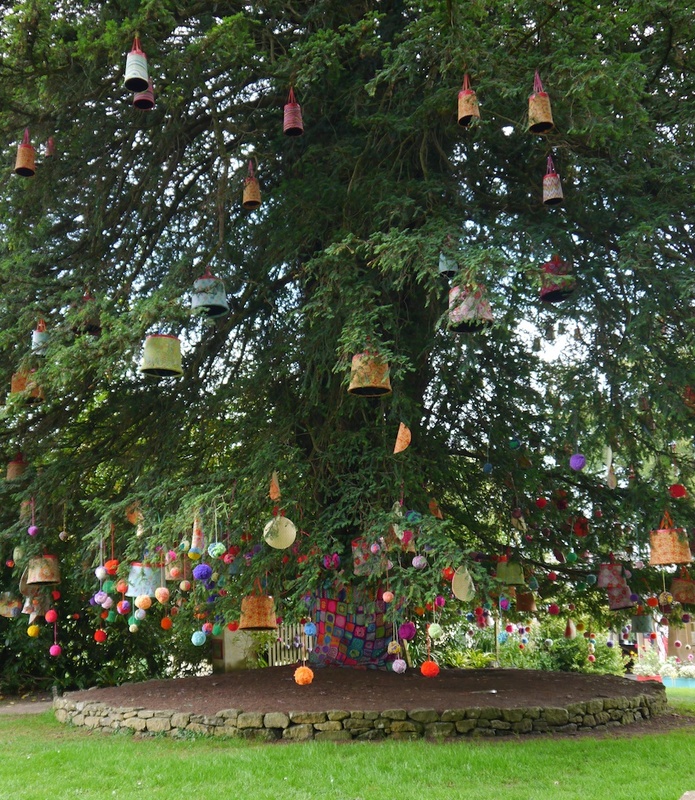 Kaffe Fassett was a guest on Desert Island Discs in 1990 and spoke very engagingly about his life and work. Interestingly he had just had an exhibition at the V&A. I wonder how many exhibitions of his work there have been over the years. I heard the programme when it was first broadcast and recently listened again. It’s archived on the BBC website here: http://www.bbc.co.uk/radio4/features/desert-island-discs/castaway/cdd3cdc0#p009402w and is well worth a listen. I saw him lecture in the 80’s and I was mesmerized by his sense colour. He started me on my textile journey. 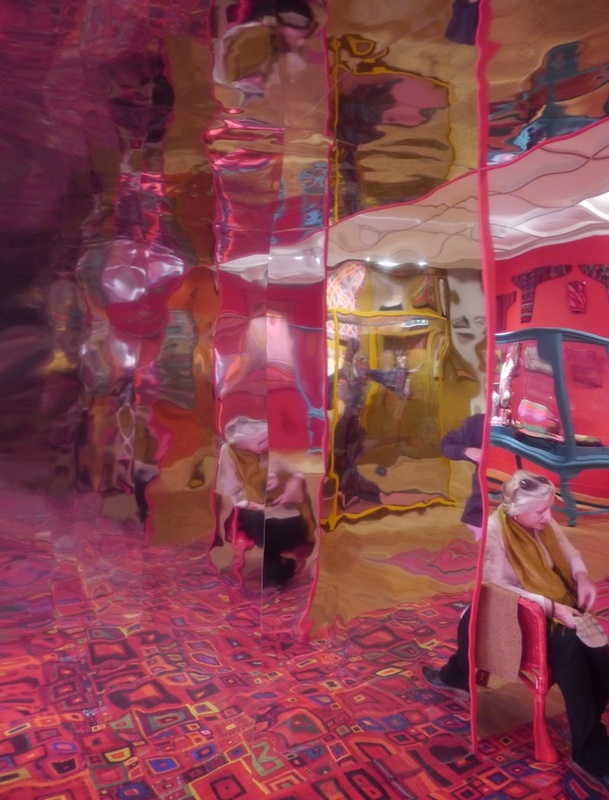 Kaffe Fasset is like a colour guru, and I would be lucky if I could see him for real one day… I definitely think I would have FAINTED in there, in those colour-saturated rooms.